So when I am craving an afternoon snack, but I know I want to save my points for dinner (or for wine after dinner #letsbehonest), smoothies are key for me. Sweet and filling, they tide me over until dinner. 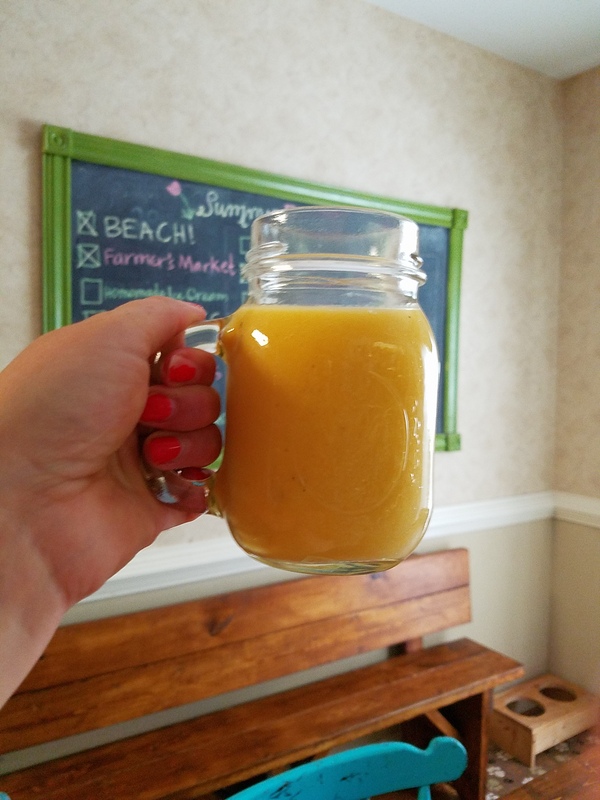 So here is my favorite Tropical Smoothie Recipe of the moment, and the kids are huge fans too! Layer and blend in blender until smooth. Serve and enjoy! I think this smoothie can be enjoyed with or without the mango, or subbing in strawberries, blueberries, peaches, or your other favorite fruit in for the mango. No matter, the combination is a winner, and is filling, and worse case, 1 point if you drink the whole blender! Let me know what your favorite combination is!